Biden's gaffe is the source of our new blog series of posts entitled, "What Would Joe Biden Do?" Each entry will display a scenario outside of a door and ask if following Biden's advice would lead to a horrific tragedy. 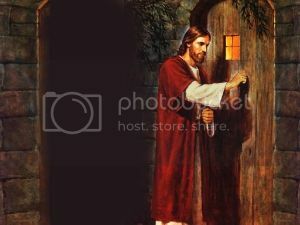 As such, this entry displays a picture of Jesus standing at the doorstep of a residence.